Tweet Post pro allows you to post selected trades at twitter. User can filter trades to post by magicnr. 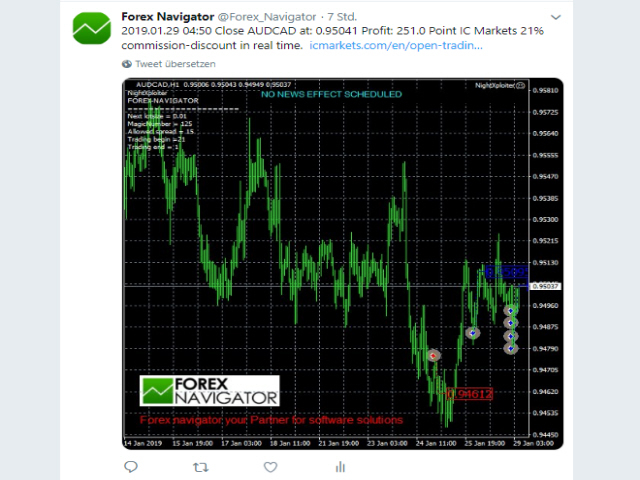 With the help of this tool you can post your trades on twitter and increase your awareness. functionally like Twitter post. Pro version has the following additional features. - Chart image of trade window will be published on request. - logo and wish text can be placed on the chart image. 2. go to https://icmarketsdeals.com/twitterabr/twitter-go.php and authorize our twitter app. 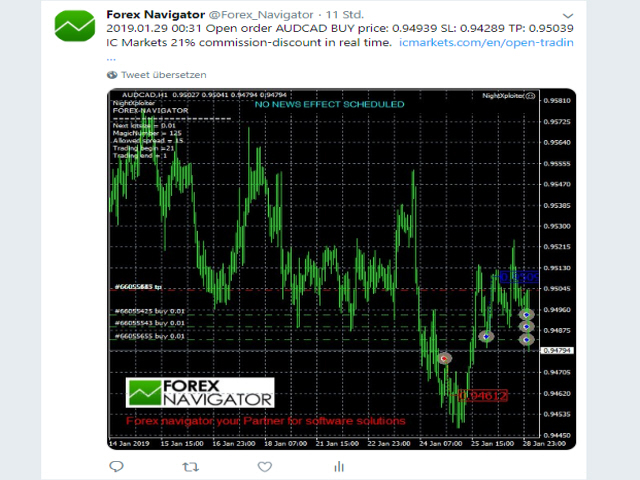 You can also use tool to tweet manual trades. For this, only "0" must be entered as magicno for many magicno to observation please fill in like 123,987,456. seprate each magicno with ","
check interval in Seconds - checked every x seconds. Text to show at chart - fill in text you wish to show at chart. - add to timestamp text "GMT"